If you needed to fill another hundred hours of your gaming life, you could do worse than The Witcher 3’s New Game + mode. But do beware: a glitch in the system can turn Geralt’s foes into Dark Souls-like terrors with levels in the triple digits. Want more Witcher 3? 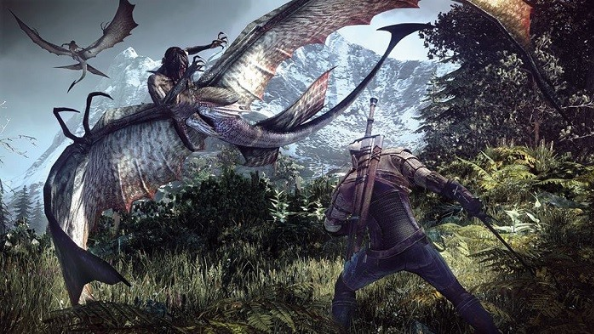 Here are the best Witcher 3 mods. The glitch comes into effect if Geralt reaches over 330 percent Sign intensity when in battle. If you disengage with the enemy, but then return to fight them immediately, the monster will have suddenly jumped in level to something beyond 100. This makes them incredibly dangerous, and a real challenge to take down. If you fancy taking on the challenge, VG247 found this video from MadMonkey Gameplay which shows you exactly how to make the game glitch out. Probably best to make the most of this now; no doubt CD Projekt will address the bug in a patch soon.